This is the story of how God used the internet (among other things) to teach me to trust in His perfect timing and perfect plan for my life…. and also why online dating no longer gives me the creeps. 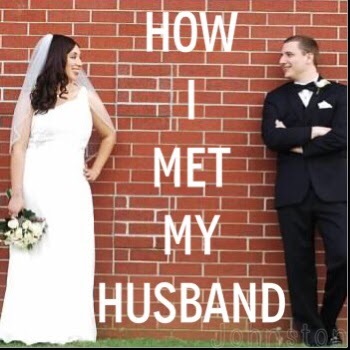 I had always imagined myself meeting my husband the “traditional” way. And by traditional I mean the way it happens in all the good movies: a coffee shop, the bookstore, the park…Or maybe I’d meet a good Catholic man at Mass or a conference or something. 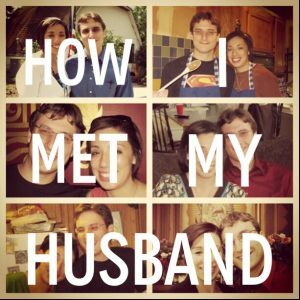 These were all of the “normal” ways I figured I’d meet THE ONE, and we’d add our story to the adorable list of romantic comedies. Meet someone on the internet? Heck no! Looking to the World Wide Web seemed like an act of desperation… only for folks who had completely given up hope of finding their soul mate and resolved to “settling” for an online match. I was 24, living in San Antonio, and I had never dated. This was not by my own choice, and it was f r u s t r a t i n g. Sure, there had been the creepy guys at gas stations who would occasionally offer their best “Hey baby, what’s your name?” But no one expressed any serious sort of interest. Where are all the good Catholic men? Is there something wrong with me? Sure, I knew that God was really the only One I needed. And yes, Jesus is the best spouse a gal could ask for. What I didn’t realize at the time was that God was writing a better story than I ever could have imagined. And it would happen in a way that I least expected. 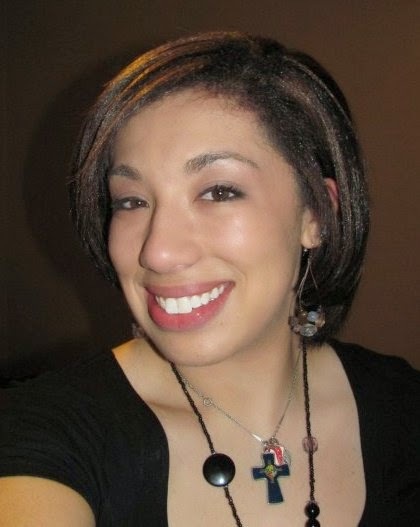 In February 2010 I decided I would attend the National Catholic Singles Conference in San Antonio. It was a BLAST! Not only did I get more exposure to the Theology of the Body, but it was like God was helping me to find the joy and peace of being single. He was working on my heart and a lot of healing was taking place. One of the presentations was by Brian Barcaro, the co-founder of CatholicMatch.com. He talked a little bit about the Catholic dating site, the benefits of online dating, and encouraged us to just give it a try. Fine. Maybe online dating wasn’t so creepy/crazy. By this point in time I had a friend who had met her husband on another Catholic dating site. They were normal. They certainly weren’t “settling”. And it was obvious God was part of their love story. So maybe, just maaaaaybeI’d give it a try. But not yet. Over the next month some things happened that, well, let’s just say that peace and contentment with being single was long gone. Long story short, I had hit my limit, and I was frustrated with God. And convinced that God just wasn’t going to help me in the dating department, I signed up for CatholicMatch.com and paid for a two month membership. So there I was… Defiant Deanna with her CM profile. Two or three weeks into my membership I was in contact with a few guys from the area. In fact, one of them took me out on a lunch date followed by a walk in the park… but then he forced me to hold his hand (really) and rattled off all the names of his future children…and somehowI knew it wasn’t meant to be. By the beginning of April I was back to being skeptical about this online dating thing. Sure, it had connected me with a few guys in my area. It had even provided an entertaining and awkward date. But this really didn’t seem like it was going anywhere. I decided that once my subscription ran out, I wouldn’t renew it. Why did I think I could try to do this without God’s help? I didn’t realize it at the time, but God was doing more heart and soul surgery on me. I may have thought I was “gonna show Him,” but really God was leading me into something deeper and more perfect. Because He’s just good like that. On April 16thI “cast the net wide” one last time before the subscription ran out. I did another search, and sent a couple of “Hi, how are you? This isn’t awkward at all!” type messages. Before logging off I noticed the “Welcome to Our New Members!” box. 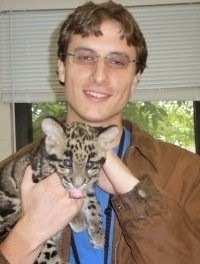 He had a really nice smile and the baby leopard was a nice touch. According to his profile he was a lover of Promised Land chocolate milk (and chocolate in general) and Haribo gummy bears (the specificity of Haribo was important. There are no other true gummies). To be honest, I didn’t expect a reply. I can’t even tell you for sure why I sent him the message. I certainly didn’t think that this email would be the beginning of something life-changing. But God did. Within a day or so, Michael actually responded. Before I knew it we were instant messaging and emailing almost every single day. I think what stood out the most over those first few emails and online conversations was Michael’s ability to make me laugh, and the sincerity in which he said he would pray for me. On May 4thhe finally asked for my phone number, and we talked for the first time. I don’t remember what we said that first night, but I do remember smiling and laughing a lot. The conversation was natural. Phone conversations became the new daily ritual, lasting anywhere from 1-4 hours. By this point, Michael and I were becoming fast friends, and we started thinking about where do we go from here? We figured we would eventually need to meet in person, maybe later in the summer, and we could see where things would go. I should mention that one of the things we love most about our experience with online dating is that it really helped us to develop a friendship before anything else. Even if this didn’t turn into a romantic relationship, we had talked so much that we knew we would at least be very good friends. It also forced us to pray about this relationship. A lot. So that’s what we did. I started the 54 day rosary novena, asking the Blessed Mother to help us discern our relationship, and prayed that God could help us meet in person sooner than later. Towards the end of May, Michael told me that his seminarian friend, Sayf, (the man who would eventually celebrate our Nuptial Mass) agreed to drive him to San Antonio the first weekend of June. Friday, June 4th was going to be the big day. Michael and Sayf would be in town until Monday morning, giving Michael and I the weekend to get to know one another. As the day got closer, I got more nervous and excited, and prayed that this would be exactly what God wanted it to be. Thursday evening, however, I got a bit of a surprise. I was walking out of my evening Zumba class, covered in sweat when Michael texted me. He said that they had gotten into town earlier and wanted to know how I felt about meeting that night..in oh, an hour or so. I don’t think I’ve ever driven home, showered, dressed, and done make-up that fast in my life. I got the address to where Michael was staying, and headed out… but before picking him up I stopped by perpetual adoration and prayed. I didn’t know what was going to happen, but I really just wanted God’s will to be done… I prayed the rosary on the drive over to pick up Michael, and with nervous excitement I pulled up to the house. A handsome young man in jeans and a black T-shirt came out of the house. I got out of my car, and with a smile and a crazy bunch of butterflies in my stomach, walked towards the man I’d met on online. OH MAN a TO BE CONTINUED!! This is a good story! I'm currently single and have dabbed in online dating here and there…haven't had much luck yet but I keep there because I just feel there is something there with all the success stories I know…can't wait to see how this ends! !